The construction industry is said to have the highest rate of work-related injuries. It, therefore, becomes necessary to find ways to prevent or reduce such hazards. One way to achieve that is the use of high-visibility safety apparel. Orange and yellow vests are part of the clothing materials categorized under High Visibility Safety Apparel (HVSA) The primary purpose of such clothing materials is to make the wearer as conspicuous as possible so as to completely prevent or at least reduce the likelihood of accidents that could injure or could even be fatal. The first safety vests ever worn were called “Fireflies,” and it was in 1964 by British railway workers. Not long after that, the fireflies began to be used in places like the United Kingdom, London, and The United States. In the 1980s, having carried out several studies, experts unanimously agreed that these vests were effective in preventing and reducing work-related accidents. These are worn by those involved in low-risk jobs. The vest must be safety yellow or safety orange in color and must have a reflective band of at least 155 square inches, and they do not require sleeves. These are for those whose jobs are at a higher risk of accidents than those of class 1. The vest should have a minimum of 775 inches of safety yellow or orange background material and 201 square inches of the reflective band. It is necessary to wear these at all time even in daylight time said Tip Top Eaves It helps everyone around aware that the job the contractor is performing is potentially dangerous and they need to take precaution in close range. These are for those working in the highest risk environment. It requires 1240 inches of safety yellow or orange safety background and 310 square inches of a reflective band. In a construction setting, colors are widely used to place people in categories according to their position. As such, yellow is used for the workers while orange is used for the technical officers at the executive level. Colors are also used to ensure safety at work environment, and the two most widely used in construction setting are safety orange and safety yellow. Safety orange is extensively used in making safety vests because of its ability to make the wearer stand out from his surrounding and more so, it complements the blue color of the sky quite well. In the same vein, safety yellow is also widely used because of its ability to increase the visibility of a worker. A study carried out in 1937 concluded that safety yellow was the most easily noticed by the human brain. It was the same survey that led to the change in color of school buses from orange to safety yellow. Safety vests are made with bright colored materials and luminous bands so they can be used at day time when visibility is somewhat higher and also at night when visibility is reduced. 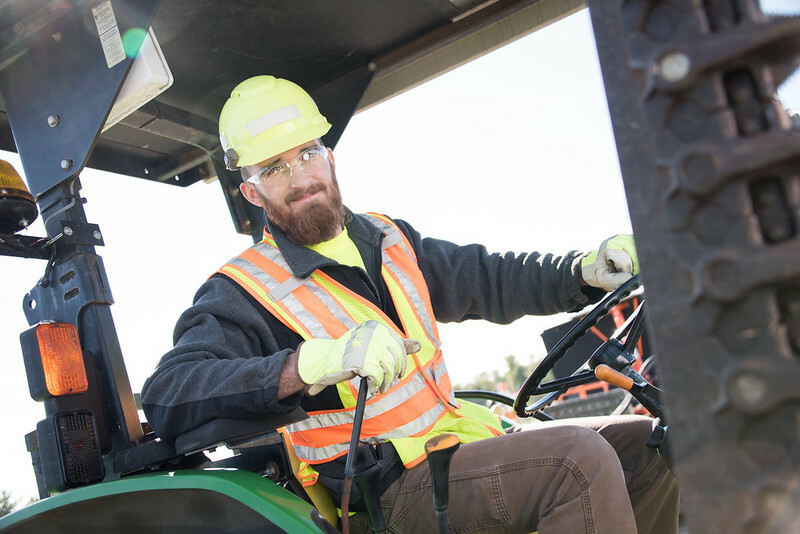 It is important that these safety vests be frequently inspected for dirt, tear, wear, and other dents as these can impair the effectiveness of these clothing materials. A safety vest must be visible from at least 1000 feet both at day and at night, anything less than that is not considered safe. It is also important to ensure that a worker is comfortable in a safety vest such that it in no way prevents him or her from carrying out duties. Safety vests can be used as a means of identifying fellow workers in the workplace and industry. Sharing of ideas is facilitated when one knows that his neighbor works in a similar department just like him or her. By sharing tips, they learn more about occupational hazards and how to prevent them. Safety vests are affordable. This reduces worry about what to wear for work and how to buy some expensive wears to look gorgeous. Since they are very conspicuous, safety vests prevent roadside injuries of workers and the number of dependents left by workers if death occurs. It increases security in the workplace as people can identify themselves the more. This happens more when names of individuals are written on the vests provided by the company. Providing safety vests to company workers reduces accident claims on corporations and less burden on insurance policies. It is better to buy safety vests from recognized producers whose brands are already known. Test the materials to know if they fade. Safety vests should be able to retain their original colors for an extended period. Understand this topic well and be safe!